Jay Baruchel began life as Jonathan Adam Horrace McGee Saunders Baruchel. 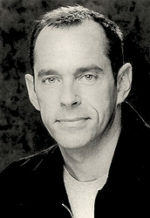 He began acting at the age of twelve when he landed a job on the Nickelodeon television series Are You Afraid of the Dark? transforming what was supposed to be a one-time guest appearance into a recurring role. 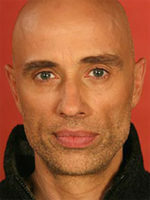 The role was a springboard for his career, leading to his first Canadian series, My Hometown. Baruchel fulfilled a long held dream in 2002 when he directed the short film Edgar & Jane which he also wrote, produced and shot in Montreal. More recently he directed and costarred in the 2017 feature comedy Goon: Last of the Enforcers. Baruchel currently resides in Montreal and is an avid hockey and soccer fan. 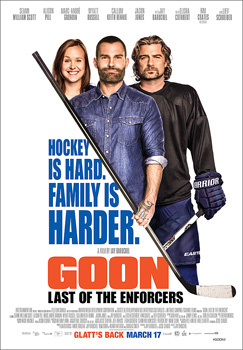 Poster for Goon: Last of the Enforcers courtesy of Entertainment One.